Cozumel is world renowned for its exhilarating drift diving. Be ready to go with the flow in strong currents! The island is perfect for exploring, and October is a great time to vacation in Mexico, with warm water and generally calm seas. 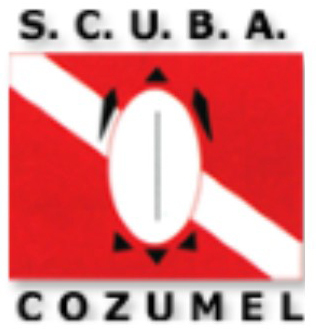 Many of our divers have enjoyed the friendly and convenient Scuba Club Cozumel resort in the past. The fantastic staff looks forward to welcoming us on each return trip. This vacation is designated FOR MEN ONLY. Plan now to join UnderseaX for a value-priced getaway that includes all meals, lodging and five days of diving. Airfare to Cozumel, rental gear, instruction, items of a personal nature, hotel and dive staff gratuities (10% total suggested), airport transfers (approx. $8 each way), marine park fee ($2.50/day cash), other alcoholic and non-alcoholic beverages not listed above. Fly directly to Cozumel (CZM), arriving any time on October 10th and home on October 17 on any flight that's convenient for you. The vacation kicks off with a margarita mixer at sunset on Saturday, October 10, and the included boat dives are scheduled Sunday, October 11 through Thursday, October 15. You may dive on the morning of October 16 if your flight schedule the next day allows it. $300. Final balance due 75 days prior to departure. Limited single rooms available for a supplement of $500. We are also happy to match you with a roommate if you are traveling solo. It's easy to meet a dive buddy in our group! Complete and return the trip application and waiver with your deposit by check or credit card. You can learn to dive on this trip! Full Open Water I certification is available for $375.00 + 19% tax, and Open Water I referral classes are available for $175.00 + 19% tax. Call us to speak with a PADI Instructor about how you can become a certified Open Water diver.